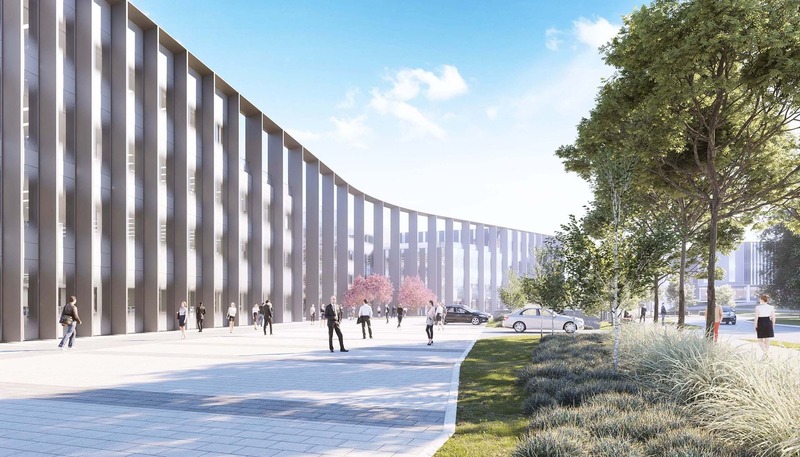 We were briefed to create a new gateway to Cambridge Science Park, the county’s first dedicated technology estate. We focused on attracting high tech and Research & Development companies to the Park, creating a brand new vision for Cambridge. Our two building design creates a flexible option for both single or multi-tenant occupancy – featuring a colonnade which sweeps across the front, echoing the curve of the spine road. The column spacing guides occupants and visitors to the entrance, with wider spaced columns emphasising the entrance area and denser columns protecting the office space. Highly glazed facades connect the working environment to the landscaped setting. Our design lays the entrance colonnade fins flat against the side elevations, creating the façade system. These are broken down into smaller masses to create a sense of rhythm, whilst enabling daylight to flood in to the office floors. 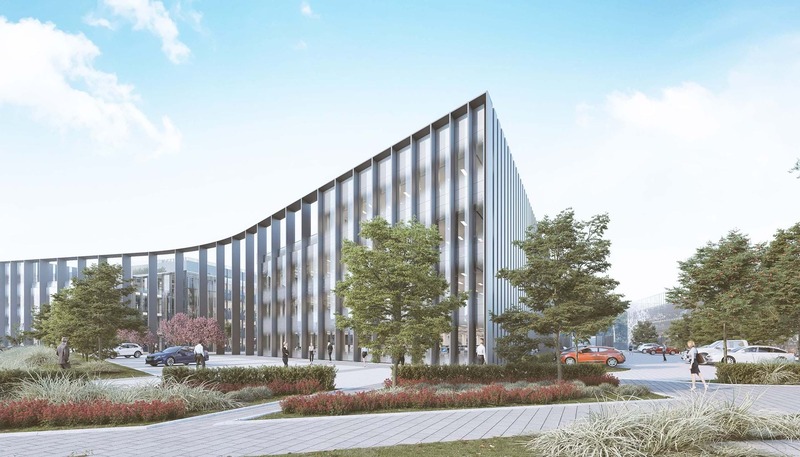 As well as creating a new public realm space between the two buildings, our design gives transparency to the buildings and supports the sustainable agenda.